Most Southwest Florida motorcycle accidents are caused by a driver or rider’s failure to follow the rules of the road. 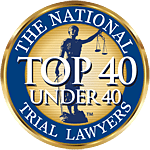 At Associates and Bruce L. Scheiner, Attorneys for the Injured, we have spent more than four decades building a reputation as advocates of the local riding community. Our motorcycle accident attorneys represent clients in Fort Myers, Cape Coral, Naples, Lehigh Acres, Punta Gorda and Port Charlotte. In many cases, motorcycle collisions are preventable. Frequently, they are caused by drivers who fail to show riders the courtesy and respect owed to every motorist on the road. Whether a single rider or part of a large group, motorcyclists have the same rights and responsibilities as occupants of passenger vehicles. Motorcycle Endorsement: Operators are required to have a motorcycle endorsement through the Florida Department of Motor Vehicles. Those who already have a driver’s license will be issued a motorcycle endorsement. Those without may qualify for a motorcycle-only license. Operators of three-wheel motorcycles are required to complete the S/TEP-Sidecar/Trike Evaluation Program. For those licensed after July 1, 2008, a basic rider safety course is required. Endorsements from other states are acceptable. Helmet Law: Those over the age of 21 who carry an insurance policy with at least $10,000 in medical benefits are not required to wear a helmet under Florida law. Headlights: Florida Statute 316.405 requires the use of a daytime headlight for all Florida riders. Eye Protection: required by law under FL Statute 316.405. Handlebar Height: No higher than a rider’s shoulders when seated on the motorcycle. Helmet Speakers: Permitted for communication purposes only. Ear phones are not permitted. Riding Two Abreast: Florida law permits riders to ride two abreast. Motorists are required to give riders a full lane. Lane Splitting: Riders are not permitted to pass motorists using the same lane. Operating a motorcycle between lanes or rows of vehicles is prohibited. Turn Signals/Mirrors: Florida law requires motorcycles to have working turn signals and at least one rearview mirror. Insurance Requirements: Florida riders are required to carry $20,000 total bodily injury/$10,000 property damage and per-person bodily injury; and $30,000 single-limit liability. Your choice of legal representation can have a significant impact on the outcome of your case in the wake of a serious or fatal motorcycle accident. Too often responding law enforcement finds the rider at fault. In other cases, the serious nature of a rider’s injuries is blamed on not wearing a helmet or other protective gear. At Associates and Bruce L. Scheiner, Attorneys for the Injured, we are committed to fighting for the rights of riders and families. In some cases, accident reconstruction or independent review of the facts and circumstances of a collision can disprove allegations that rider was at fault. However, even in cases where a rider’s own actions contributed to collision or injury, Florida’s comparative fault laws permit plaintiffs to seek recovery from a defendant who is at least partially responsible. These are complex cases and the sooner accident victims and families seek experienced legal help, the better the chances of making a financial recovery for medical care, lost wages, rehabilitation and other damages.